India’s Hindu nationalist Bharatiya Janata Party said on Monday it would remove decades-old special rights for the people of Jammu and Kashmir, making an election promise that could provoke a backlash in the country’s volatile only Muslim majority state. 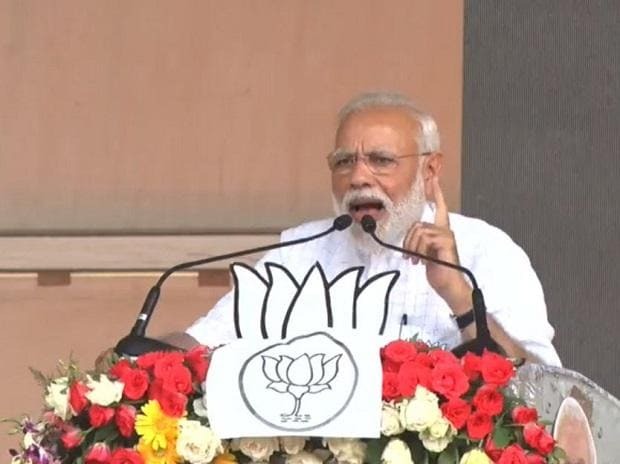 “Nationalism is our inspiration,” Prime Minister Narendra Modi said at the release of the BJP’s election manifesto at the party headquarters in New Delhi. Modi’s BJP has consistently advocated ending Kashmir’s special constitutional status, which prevents outsiders from buying property in the state, arguing that such laws have hindered its integration with the rest of the country. “We believe that Article 35A is an obstacle in the development of the state,” the BJP manifesto said, referring to the 1954 amendment to the constitution. Political leaders in Muslim-majority Kashmir, where India is fighting an armed insurgency against its rule, have warned that repealing the law would lead to widespread unrest. Modi has made his strong stance on national security a key part of the BJP’s election campaign, following a recent flare up in tensions with arch foe Pakistan, which also lays claims to Kashmir. The main opposition Congress Party led by Rahul Gandhi is seeking alliances with regional parties to thwart Modi, accusing the BJP of undermining India’s secular foundations. The BJP promised a capital investment of Rs 100 trillion on infrastructure by 2024, to help create jobs for the millions of youth entering the workforce every year. The party would work towards lowering the tax rate and raise credit to small businesses to Rs 1 trillion ($14.39 billion) by 2024, it further said in the manifesto.